Back in the days, we used to love new apps. People around Steve Jobs were still patting themselves on the back that they managed to convince him in opening an App Store for the iPhone that will allow 3rd party creativity to invent what the software team at Apple hadn't thought about. We explored the App Store or Google Play each day, eager to see how can we do one more thing with our phones. The latest stats for the average age of the top apps at both stores, however, paints a completely different picture now that manufacturer software is full of features and visual candy, and most of what we can do with phones is accounted for with established brands. A quick analysis of the Top 30 iOS apps rank by Eric Feng, a former Hulu CTO, returns that five years ago they were two years old on average, while today they are more than five years old. 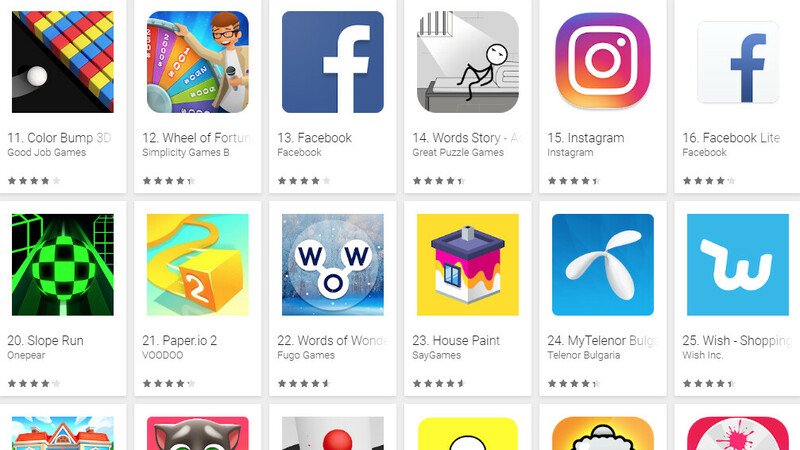 Ditto for Android apps, all the while we are downloading the same number of Top 30 apps as before, we just choose established names. Spotify takes care of our music needs, Netflix of video, a few stalwart communication, social and maps apps of the rest, what else is there. That makes it all the more difficult for startups in the app development industry, unless they bring an already popular and established service to the mobile arena. In short, just as with smartphones, apps are commoditized, too, with everyone and their small business having one. Games, however, are a different story, as we are constantly searching for new titles to satisfy our OCD, so the top games at app stores are quite fresh at less than two years old on average. I was actually thinking this the other day - I opened up my App Store and thought to my self that I can’t remember when it was last time I tapped that icon (could of been at least a month ago). I guess I’m contept with what I got on my phone already. I'm not surprised at all. With the layouts for the app stores focusing on the "hit" (read older favorite) apps, horror stories about hacking and bugs from antivirus companies and online *cough*here*cough*. I also feel that a lot of the apps being made feel redundant. Most of it has been done before and loyalty makes it hard for new apps to get a foot in the door. Some of the new apps have interesting options or features, but fail in other areas. Some new apps are just low quality in general. Hopefully developers will be able to continue making apps that will make people interested again in the future. It's just the same with smartphones, they've matured now. Just like the time with PCs in the late 2000s.